Joe Aherne is a Certified Public Accountant with over 25 years’ experience in the multinational sector both at home and abroad. He also has attained qualifications from the Marketing Institute of Ireland and from City Bank in the U.S.
During his qualification years, Joe worked for a diversity of companies prior to his departure abroad in 1984. Joe joined Almarai in Saudi Arabia and was subsequently appointed to the executive board of the Dairy Division, one of the largest dairy companies in the world. On completion of his 4-year contract, Joe joined London European Airways PLC as Finance Director and was headhunted to re-structure EDPAC, a U.S. computer room air-conditioning company out of Cork, Ireland. 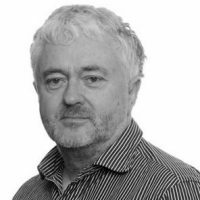 Joe established the Leading Edge Group in 1995 an international boutique consulting company supporting a variety of manufacturing and service organizations in Ireland, Canada and Australia. He is also chairperson and founder of the Court of Experts, a networking body of top multinationals in Ireland. He is currently completing a postgraduate diploma in international selling at DIT and is actively involved in bringing a new SaaS product to market targeting large multinationals and healthcare organizations. 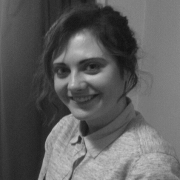 Ciara Murphy is Operations Manager for ReganStein with responsibility for developing strong relationships with our clients and connecting with key business executives. Ciara works closely with all our clients to deliver consistent, high quality results. 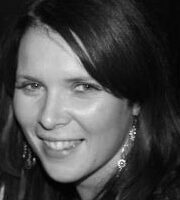 Ciara has more than 15 years’ experience in Marketing and Business Development working previously with Maynooth University, CPA Ireland and formerly in the leisure sector. This varied experience honed her expertise dealing with multiple concurrent projects and interacting with management across all sectors. Ciara holds a Bachelor of Business Studies from DCU. Emily provides marketing and administrative support for ReganStein from her base in Canada. She has responsibility for all marketing activities including market research and market analytics. 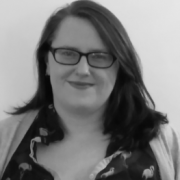 Emily started work for Leading Edge Group in Ireland in 2014 as a Training and Marketing Manager. In October 2015, Emily moved to Toronto, Canada where she currently resides. Emily will bring her strong organisational skills and North American experience to ReganStein to support the international growth of the business. Emily graduated from University College Cork, Ireland in June 2014 with an Honours BA degree in Joint International German and Economics. Alanna heads up the operations function of the Leading Edge Group while also providing support to ReganStein. Alanna is an experienced professional specialising in the training and performance management functions of large organisations. She achieved her BA in English from UCC in 2008 and is professionally certified in training and development as well as coaching and mentoring, awarded by the Institute of Leadership and Management. She has held senior management positions with Zevas Communications where she was laterally responsible for the day to day management of the training department. Her vast experience includes conducting training needs analysis to support integrated training plans; developing company-wide coaching programmes and improving team’s performance to an agreed operational standard. Alanna is a great believer in setting targets and performance indicators and measuring success on a regular and consistent basis without which a business will not be sustainable.